1. On the HotDoodle Toolbar, click on "Block" tab. 2. Click on the "Move Block" button. 3. Click on the "green arrow" button(s) pointing to the direction to move the block. 4. 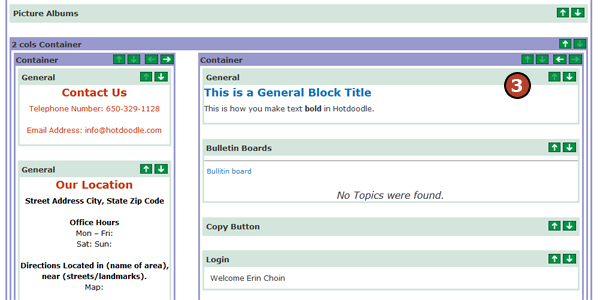 Click on the “End the Move Blocks operation” button on the HotDoodle Toolbar.